Bing Search goes beyond finding relevant answers on the internet. With the Bing mobile app, you can save money with keep up with trending stories and images, and set the daily homepage photo as your Wallpaper with one click. Real Photography: Enjoy beautiful daily homepage images and set them as your phone’s wallpaper with one click. • Sign in to begin earning Rewards for the searches you do in the app (US residents only), and redeem them for gift cards and other prizes. • Sync your bookmarks across your Bing apps on other devices. Search Trends: See the hottest images of the day and follow the latest stories from the web with quick access from the menu. • Start with the search box and click on a result to open it up in a built-in browser, or go straight the browser from the menu. • Customize Safe Search and privacy settings for safe and worry-free browsing on your phone. 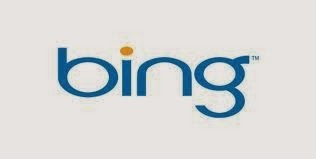 Here are the links to download Bing mobile application on your smartphone.